As we mentioned at this years WMC, Huawei announced new android-based PDA phone.It appears that the name for this device is U8230 (see below). However, another phone will make it’s debut, and it is WM-powered one. The C8000, which supports Windows mobile operating software, incorporates a 3-D menu graphic user interface (GUI) and a unique independent display adapter which enables the smooth presentation of video files and DVD-quality pictures on a 2.8 inch touch screen. With optimized power management, the new handset is capable of playing video files continuously for six to eight hours. 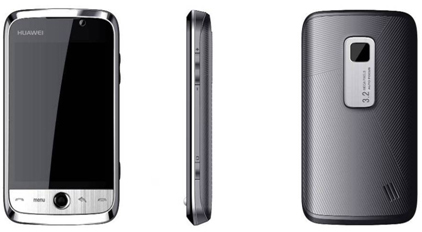 The Android-powered U8230 smartphone allows users to switch between full and half QWERTY keyboards and to navigate programs easily via a 3.5-inch LCD touch screen. 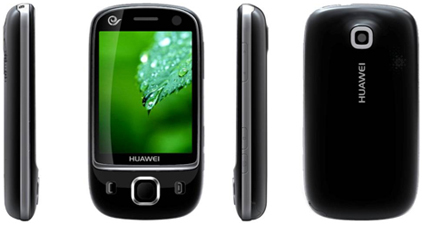 Huawei’ s U8230 uses the Google Chrome Internet browser which supports a variety of Google applications such as Google Map, Google Search, Google Talk etc.. It is also fitted with a battery which has a capacity of 1500 mAH – the longest battery capacity of any Android-powered handsets currently available. HTC Pays Microsoft $5 Per Android Phone?